Maynard Paul Kellerman, 75 years of age, of Beatrice passed away Saturday, September 1, 2018 at Whispering Winds Cottage in Beatrice. He was born on February 15, 1943 in Stuttgart, Kansas to Paul and Alwina (Merklein) Kellerman. Maynard was baptized into the Lutheran faith on March 5, 1943 at Emmanuel Lutheran Church in Stuttgart, Kansas. He affirmed his baptism on June 24, 1956 and his Bible verse for his confirmation was 1 Timothy: 5-12 —“Fight the good fight of faith, lay hold on to eternal life, whereunto thou art also called, and hast professed a good profession before many witnesses.” Maynard attended elementary school in Stuttgart, Kansas and graduated from Phillipsburg, Kansas High School in 1961. He attended Dana College in Blair, from which he graduated in 1965. Maynard was very active in sports during his high school years playing four years of football while attending Dana College. He met his future wife Gloria Joslin while at Dana College. They were wed on December 28, 1965 at First Lutheran Church in Blair had three sons, Troy, Paul and Todd. Maynard taught in the public school systems as a social studies teacher and coached in Missouri Valley, Iowa and Perry, Iowa for a period of 12 years. In the summer of 1976, he and his family moved to Beatrice where he taught social studies and coached in the junior high school. 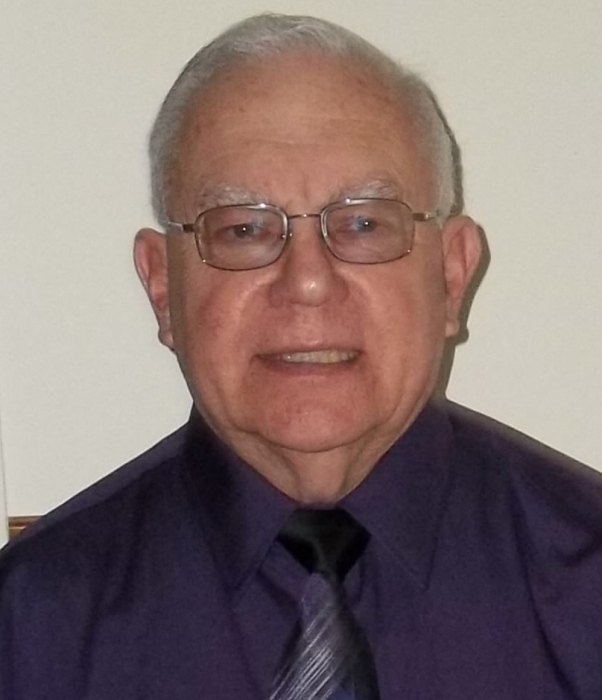 In 1977, Maynard left the teaching profession and spent several years working in the insurance business, both in Beatrice and in Marysville, Kansas. It was in 1997 that Maynard began pursuing courses of study to become a certified parish ministry associate (PMA) in the Lutheran Church, ELCA. In November 1999, he began serving full time at Grace Lutheran and St. John’s Lutheran Churches in Ohiowa. In 2005, he began serving Peace Lutheran Church near Plymouth. After retiring from full time ministry in 2013, Maynard served as a visitation assistant for St. John Lutheran Church in Beatrice. He loved his ministry work. Maynard is survived by his wife, Gloria; 3 sons, Troy and wife Stacy of Lincoln, Paul and wife Brianne of Auxvasse, Missouri, Todd and wife Heidi of Lincoln; 8 grandchildren, Kaitlyn Bruner and special friend Rocky Collier, Madison and fiancé Michael Steelman, Kandon, Khobi, Kyanne, Kailor, Blake, Alex; 5 great-grandchildren; and several nieces and nephews. He was preceded in death by his parents; grandson, Logan; and brothers, Orville, Dale and Norman and wife Lois. Funeral Services will be held at 11 AM, Thursday, September 6, 2018 at St. John Lutheran Church in Beatrice with Pastor Leah Lawson officiating. The body will lie in state from noon to 8 PM with family greeting friends from 5 to 7 PM Wednesday, September 5, 2018 at Harman-Wright Mortuary in Beatrice and one hour preceding services at the church. Inurnment will be at a later date. In lieu of flowers, memorials are suggested to the family’s choice in care of the mortuary. Harman-Wright Mortuary in Beatrice in charge of arrangements.